I wonder where on earth I have ever seen brothers that are so closed to each other like my uncle, the eldest M. Tarigan, a successful businessman and my dad the youngest, S. Tarigan, a colonel of the army. They called themselves as "chicken legs", only two, so when one leg lost, the chicken would be crippled, no more balance, no more health, only sadness left. It proved! 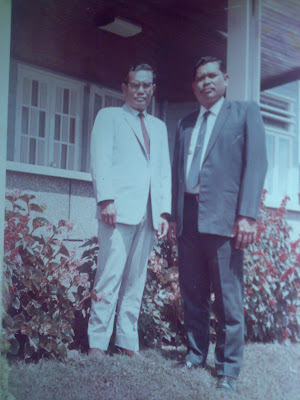 When my uncle passed away decades back, I could only see sadness in my daddy's eyes till he also passed away in 1994 when I was still posted as the Commercial Counselor at the Indonesian Embassy in the Netherlands. Both died at very young age, my uncle died when he was only 49, my daddy a bit fortunate when he was 64. My grand father died when he was only 44 because of revolution against colonial Dutch, no one found his body until now, what we buried only his picture, his friend who happened to be saved by Indonesian guerrillas at that time told the family that he was seen to had been onslaught to death by other groups that were consisted of robbers and wild rebellion. My Grand father was a very well known rich man from Highland Karo, so presumably he had to be killed to stopped him from supporting the revolution. What I can recall until now is how my uncle and my dad loved each other so much. They were always like two little kids when they met, they could sit together, talked, laughed, we all can see very clearly how they cared each other so dearly. They both were our two pillars, very strong, very protected towards their children, very tough and hard working persons, never complain at any circumstances, even at a very low point of their life. Our parents taught us, how to live in simplest way yet valuable to others and to our country. Regretfully however, none of their children could live in simplest way. We were all, included my cousins lived exactly, like excessive spoiled little kids ; and even until now, almost none us could live as fighters as our parents. We could only sell our heritages one after another, until only very few lefts. None of us seems wanted to keep our parents legacy, to keep what lefts for our future generations. In sadness I write this article, with tears in my heart. I wish my siblings and cousins would read this article someday and aware how important love is in life, how important is, caring each other rather than quarreling, how important the togetherness and how important to be grateful to what God gives through our parents. Yes, our bodies is the symbol of love of our parents, the bodies and souls are the most important. As Christian we can rely to our believe that God will not leaves us all starves, yet He wanted us to work hard too, to respect each other and to love each other, so that we can leave peacefully and help the others. I wish the fighting spirits of our parents would re-born in us and we can wake up as new person s again, full with love and full with the fighting spirit. I amen to that in Christ name. 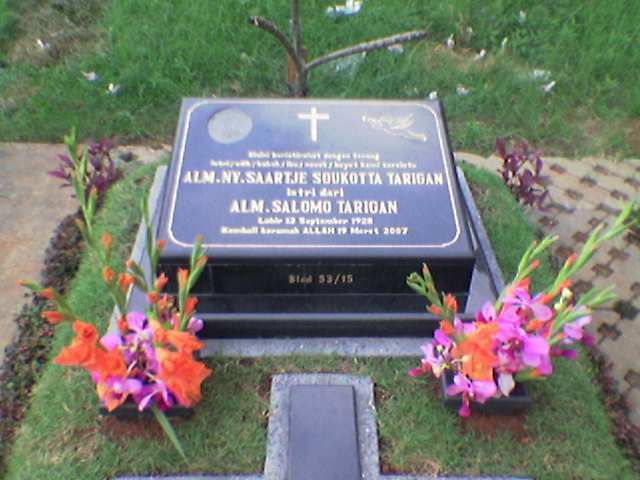 In memory: My beloved uncle, aunt, mommy and daddy. 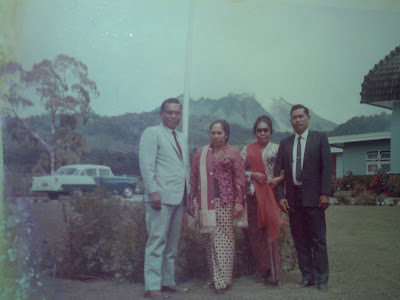 In front of my uncle's villa in Berastagi, North Sumatra, Indonesia. 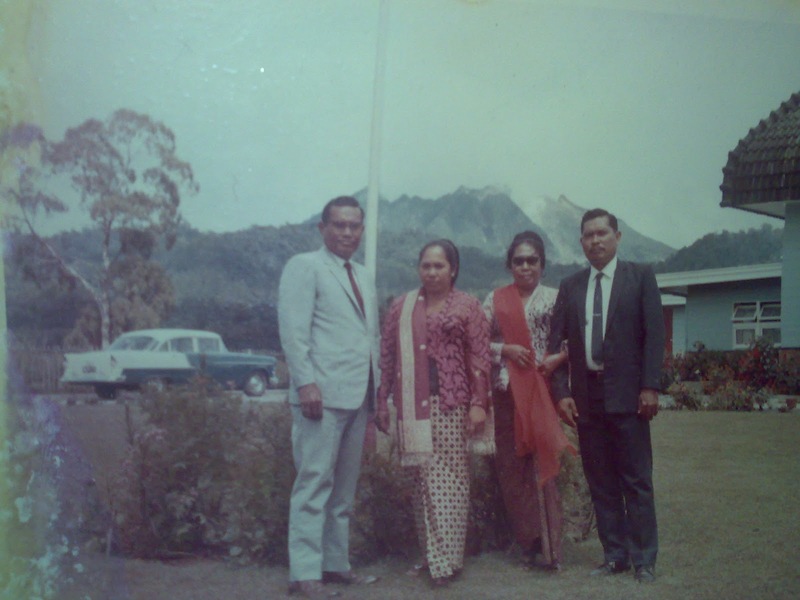 After New Year, January, 1972 with Mount Sibayak as the background. Family tomb in Kacaribu, Karo, Sumatra. Left, where my uncle and aunt rest in peace. 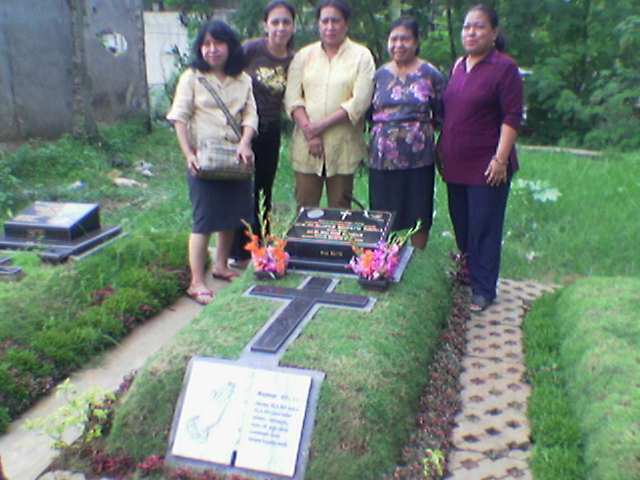 In the middle we buried the picture of my grand father. 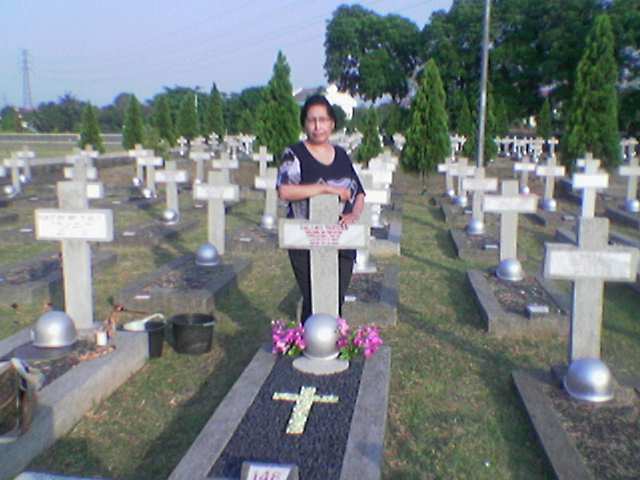 Here lies my beloved daddy. "After years of self-searching & coincidental discoveries Realizationism Art emerges to gave new meaning in my life not just as a visual artist but as a human being that seeks a divine purpose..."
I'll be following this blog too...this is great.